Back from the holidays with two weeks of wrestling! Smackdown, two Raws and two NXTs! 1-2-3 Podcast #11: Divas Revolution Gone Too Far? 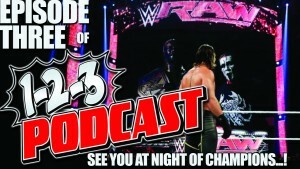 1-2-3 Podcast #3: See You at Night of Champions…!